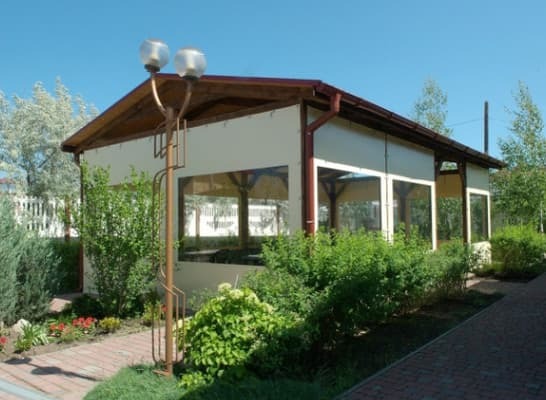 Mini-hotel "Lukomorye" is located on the Berdyansk spit, on a sandy beach, from the sea 150 meters far from the hustle and bustle. The number of rooms is one-room and two-bedroom comfortable rooms. 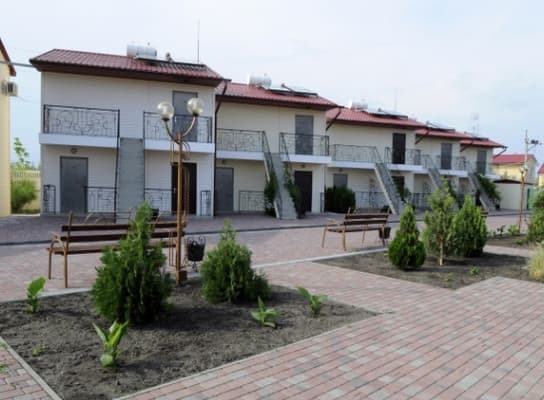 Each room has a refrigerator, air conditioning, TV, telephone, and a separate bathroom. 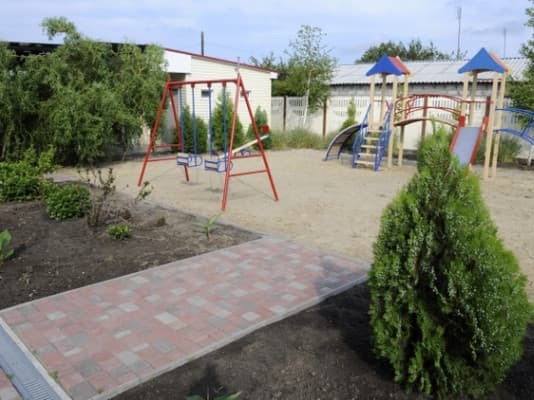 On the territory of the hotel "Lukomorye" there is a swimming pool with sun loungers, a children's room, a children's playground, paid parking, a recreation area with a barbecue, a summer cafe. They offer hairdresser's services, as well as manicure and pedicure. The distance to the railway station is 10 km, the bus station is 12 km. Description of the room: The room has a double bed and if necessary, rollaway beds are provided. 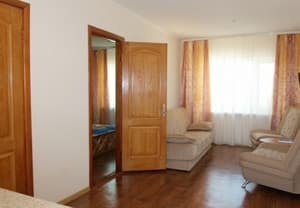 Description of the room: The room has two bedrooms with double beds and a shared lounge. Rollaway beds are available upon request. The cost of extra bed is to be specified at the time of booking. In the cafe, the cook will prepare a delicious breakfast, lunch and dinner. 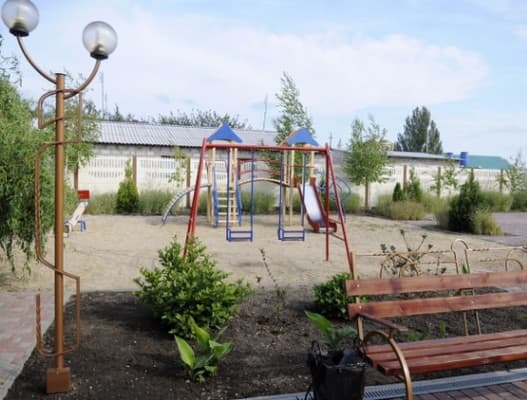 There is also a playground where you can cook barbecue or barbecue. The clean, equipped beach is a 2-minute walk away. The distance to the railway station is 10 km, the bus station is 12 km. By taxi №15 and №15а to the stop "Venice".